So, recently I have become obsessed with watching Project Pan Youtube videos (don’t ask me why). It made me think that with the new year, I may want to do my own Project Pan through 2015. With any luck, I will remember to do either monthly or bimonthly updates so you can see how far I have gotten. It’s not that I have a massive collection of make up but with my subscription boxes and holiday gifts, I have a lot of things that are going to be pushed to the side. I want to make sure that I use up my older products so that I don’t end up having to trash all of them. Since I am giving myself a full year for this, I have a huge list of about 35 (maybe?) products to try and finish! I know that I won’t be able to finish all of them. Some will be easy to finish and others will not so for some I would at least like to make some good progress! Now to introduce the products that will be featured in Project Pan 2015! This is a nice neutral lip colour and these lip pencils wear quite nicely. I bought a few colours a few years ago but have kind of gotten away from using them. I think this will be the easiest of the Revlon colours to use up. This pencil is quite a bright pink. I think I will have to wait until the spring/summer to start using this more. Just like the Honey pencil, this colour wears fairly well so I won’t mind trying to use it up. This is a nice sheer red colour that can be built up. I tend to wear it as a more sheered out colour so it will take a little while to get through it. I think I can pull this off all year though so hopefully I will be able to get through it. If I make sure that I am using this balm regularly than it shouldn’t be a problem at all getting through it. It is discontinued now, and I have had it for a few years so I really need to get through it. 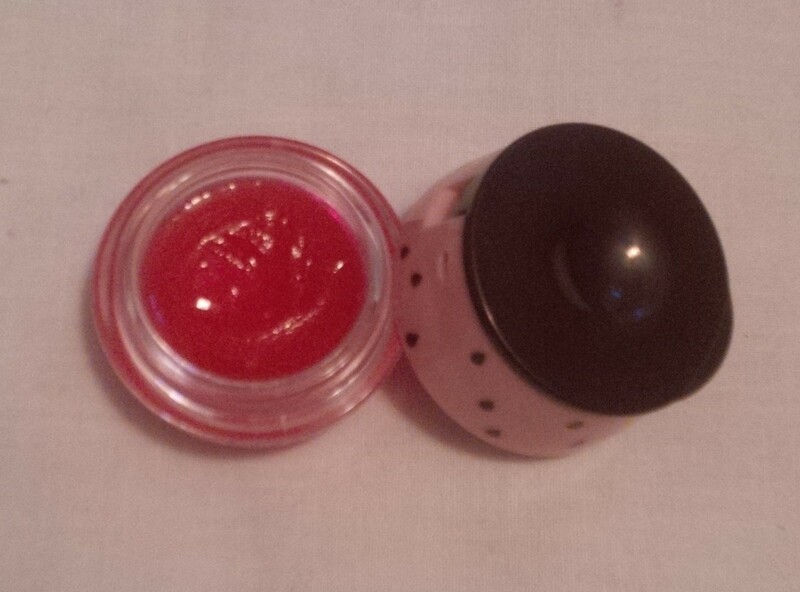 This applies as a sheer pink so it is easy to wear all the time. This was another Memebox acquisition. I don’t mind this but find it more of a gloss kind of consistency than a balm. It isn’t bad but it’s not my favourite. I may be able to use it as my post teeth brushing balm but I will have to see. 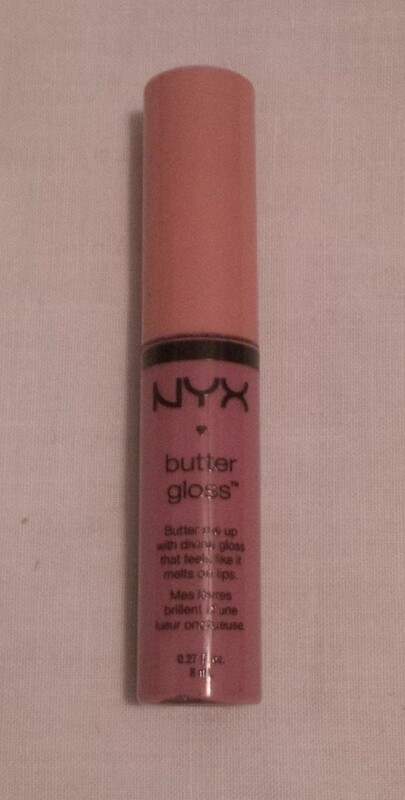 I really do love these Butter Glosses. I got this particular colour in my first Ipsy bag and I liked it so much that I bought a couple of other colours. I am just trying to clear out some space in my lip collection so I would like to use these up. This one is a light peachy pink. Once again, really like the formula of these glosses, I am just trying to declutter my collection a little bit. Eclair is a nice neutral pink. 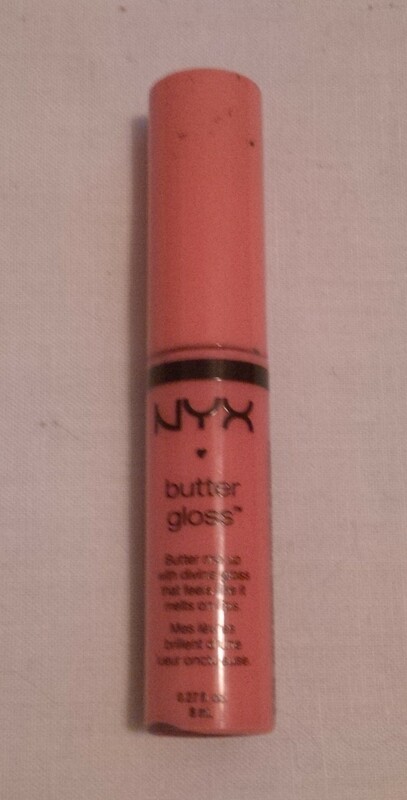 This is the last of my Butter Glosses. It is the same as the others, I am just making space in my collection. Peaches and Cream is a pinkish coral colour. I bought this to qualify for some kind of deal at The Body Shop. I can’t quite remember what the deal was but I thought that Peach would be nice. It isn’t too bad. For the most part I actually forget I have it which isn’t a great thing. I am going to make a conscious effort to try and use this up. I bought this from a sale bin at Shopper’s Drug Mart so many years ago that I can’t quite remember how long ago it was. It probably isn’t just called White but I can’t see the colour name anymore. 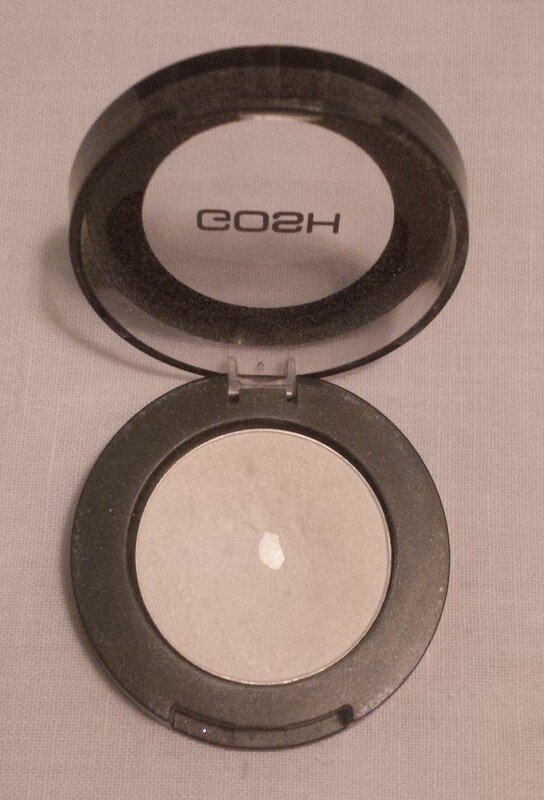 The problem is that I only use it as a brow bone and inner corner highlight so it doesn’t get used up very quickly. I hit pan a little while ago so I am hoping that through this year I can really make some progress with it. 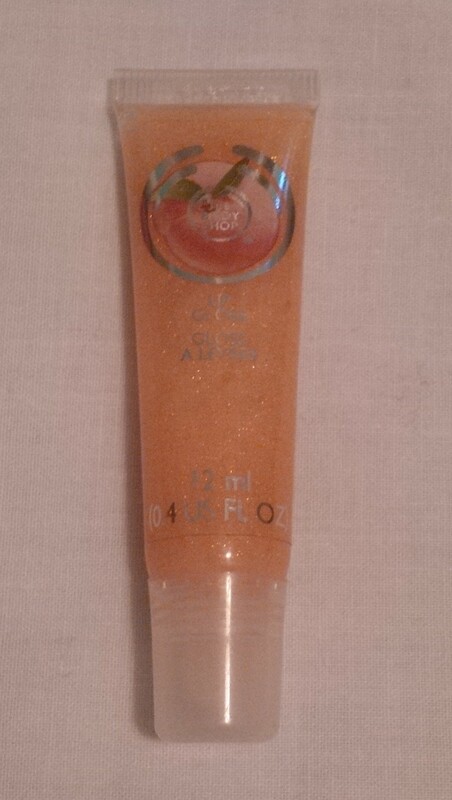 I used to use this as my primary eye pencil all the time. Then I got into liquid liners and haven’t really touched this since then. It has maybe a little over half left so I am hoping I can tight line with it and use it up before too long. I bought this right before I started using liquid liners so it has hardly been used. I may do the same thing with this as the Rimmel and use it to tight line. I got this eye pencil in an Ipsy bag and I honestly don’t love the colour. It is a sort of reddish brown which I haven’t quite figured out how to make work for me yet. Thankfully it isn’t a full sized pencil so there is less to work through. I love this mascara, I have just gotten caught up with samples I keep getting. I have other mascaras waiting to be opened but I need to try and use this up a little bit before I get into those. I tend to wear my brownish mascaras more in the spring/summer when everything feels a bit lighter so I haven’t been using this for awhile. I should try and use it for low key days or even some work days. My mom gave me this one and I haven’t tried it yet, hopefully I will like it and will be able to get through it. This isn’t my favourite concealer. I have terrible hereditary dark circles so I am constantly on the hunt to find a concealer that will cover them up a little bit. I have used a bunch of this but don’t love it. I will force myself to use it but won’t be thrilled about it. 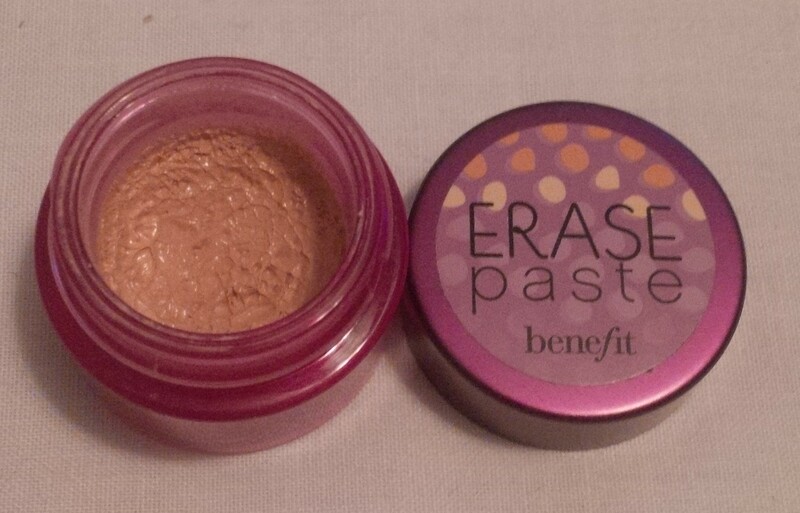 This is similar to the Erase Paste in its history with me. In hindsight, I’m pretty sure I bought the wrong colour for this so that doesn’t help. 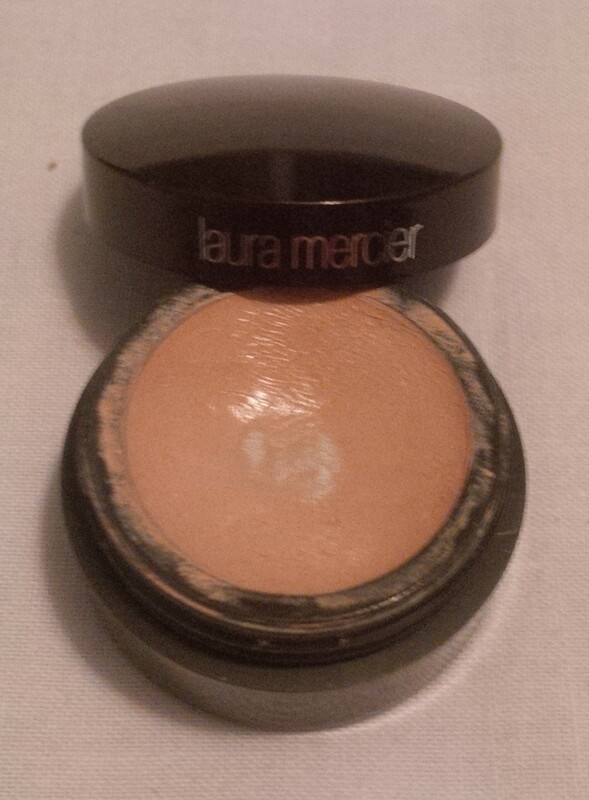 I also find this concealer a bit goopy which I don’t love. I have hit pan on this so hopefully I will be able to finish it within the year. 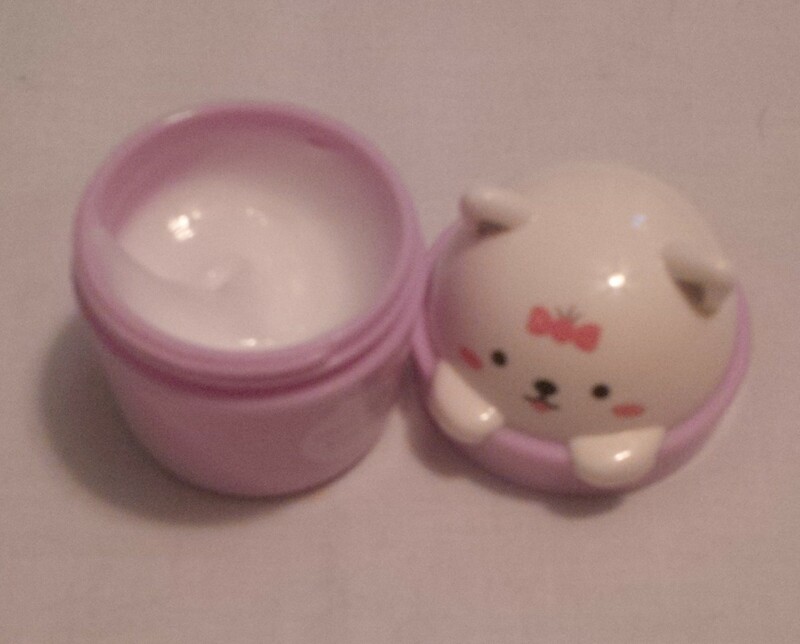 This is the night cream that I used for a really long time. There isn’t anything wrong with it and I had just bought a new one when I got my first Memeboxes. In these boxes there were new creams that I started trying right away. I loved the Korean creams way more but don’t want to waste the cream I already had opened. I am just using this until it runs out so I can go back to using that other cream. This came in an Ipsy bag I believe and I don’t mind it. I find that the product pills a little on my face but that may be my face cream interacting badly with it. I will be interested in experimenting to see the best way to apply this. I think I will be able to finish this by the end of the year. I kind of hate this colour to be honest. 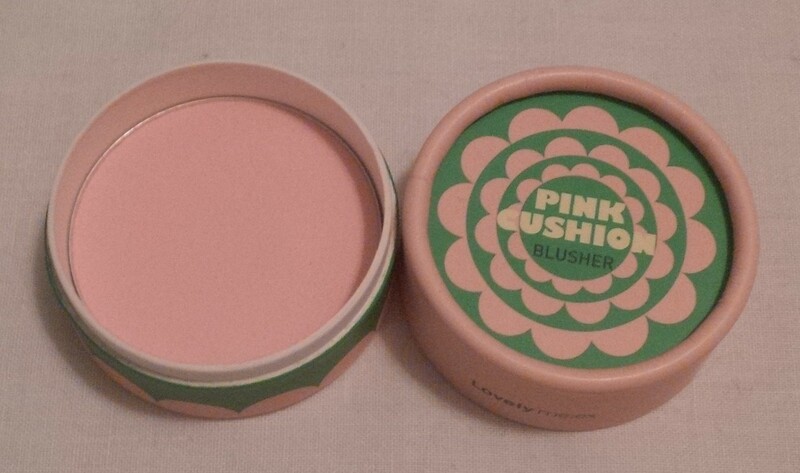 It is a bit bubblegum pinkish and I find it hard to blend out. I am hoping there isn’t much in this pan so it doesn’t take too long to get through. I will probably wait until spring/summer to wear it so it doesn’t look too light. This is a teeny sample that came in either my Ipsy or Topbox, I can’t quite remember. I think it might have been my Topbox. Since it is so small, it shouldn’t take me too long to get through. I haven’t been using this and there is a ton left. 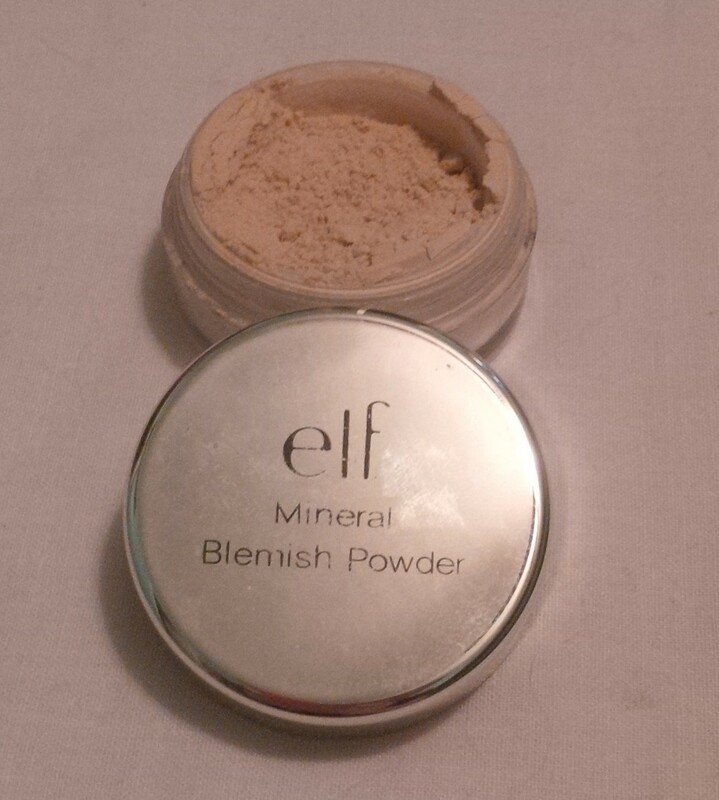 I think I might use it as a translucent powder when I use the BB Creme. I have had this shower gel for absolute ages. Proabably 2 years at least. I got it as a Christmas present and just keep forgetting I have it. I need to use it up because I feel bad just leaving it sitting in the cabinet forever. This came as part of my Third Time’s the Charm collection bundle. I don’t mind the scent, it is a kind of carnival scent with popcorn. It just isn’t my preferred scent for daytime wear. I typically spray myself with it before bed so that is good. I just hope I can finish it off. I have marked the current fill line and I will update this with each of my update posts. 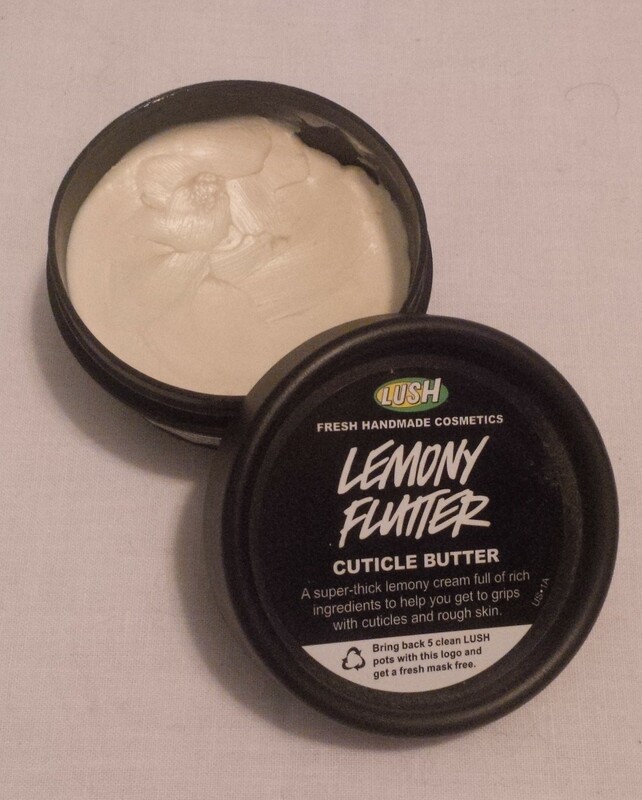 I bought this while we were on vacation in May because my cuticles were a mess. I don’t actually like using it for my cuticles but rather my feet. 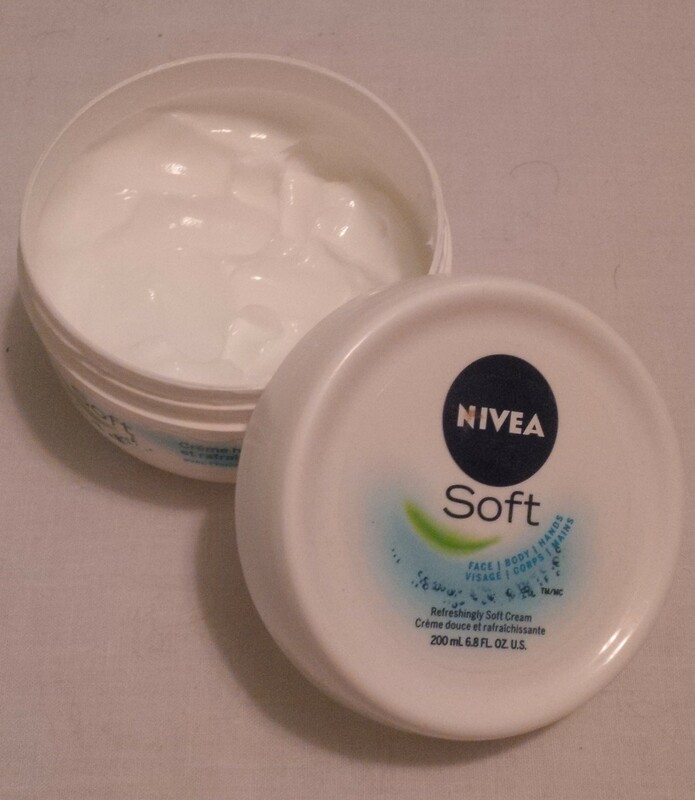 I cover my feet in this and then put socks over top. 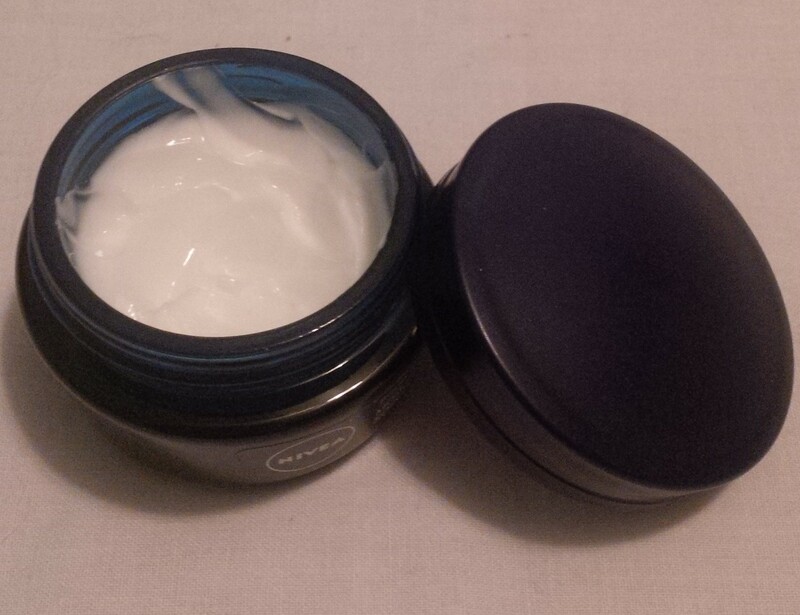 I do like this cream but I’m not sure I would repurchase. I don’t love the scent of this and I find it can take awhile to absorb into my skin. Most of the times I want to use it are when I’m on my laptop and don’t want to get my keyboard all greasy so I end up just not using it. The container is fairly small so if I try hard than it shouldn’t take too long to get through it. I received this perfume oil from FCS because they had accidentally scent me the unscented version of the walnut scrub. Normally it is in the Swankified scent so they scent me this to scent the scrub and then keep the rest of the oil to use as a perfume oil. I actually do prefer the scent when it is mixed with my body chemistry. It smells like banana bread which is great but it’s another one I don’t prefer for daytime wear. I am going to use it as my pre-bed perfume. It is hard to see in this picture but on the left hand side at the top of the label, I have marked this fill line with black marker. This will be easier to see as the volume decreases. 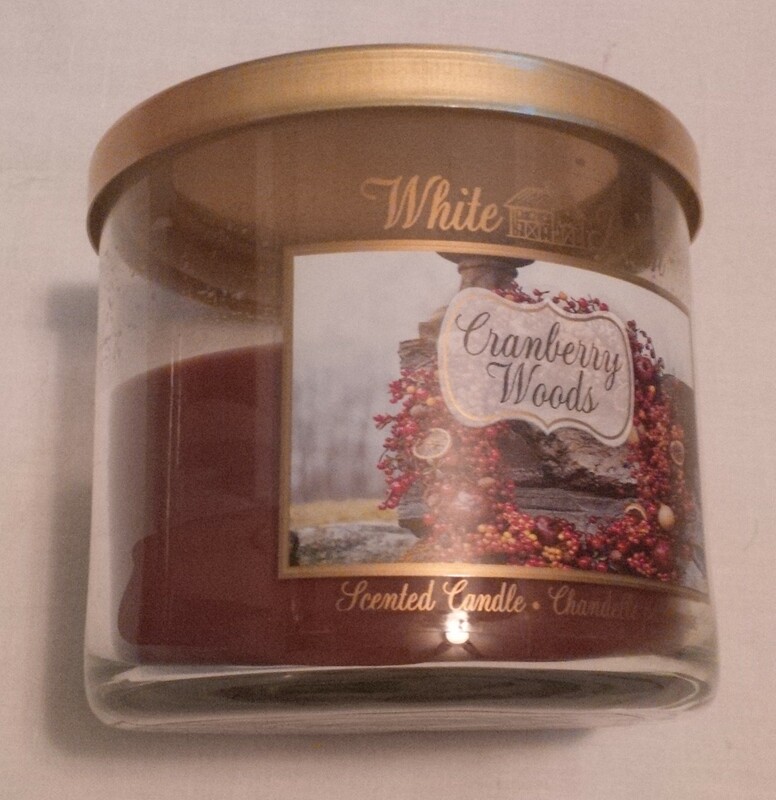 We got this scent in the FCS cookie for the fall box and I absolutely loved it. However, as a perfume oil it wasn’t my favourite. 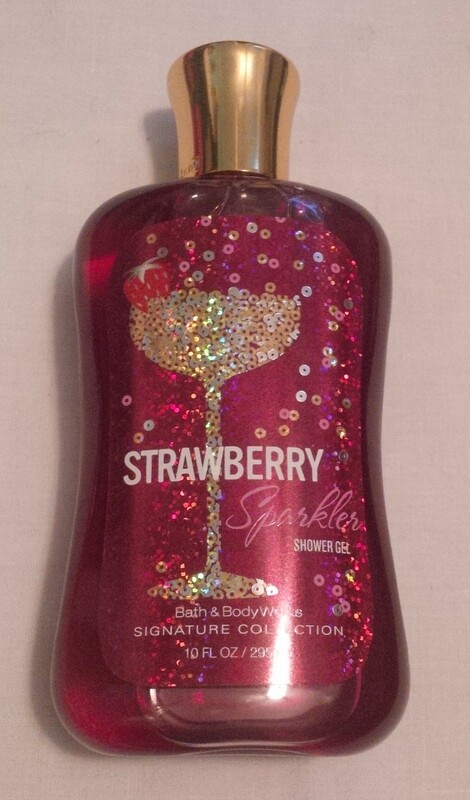 I’ve been using it to scent my bath water so it shouldn’t take me long to finish this off. 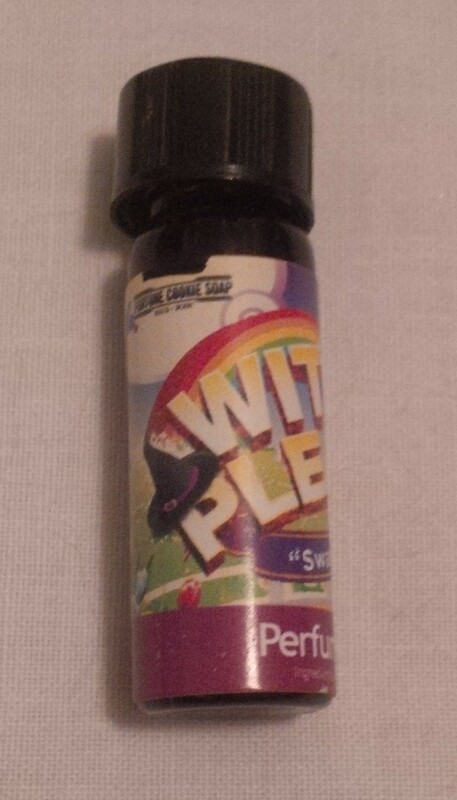 The fill line on this one is easier to see, it is just left of the witches hat. 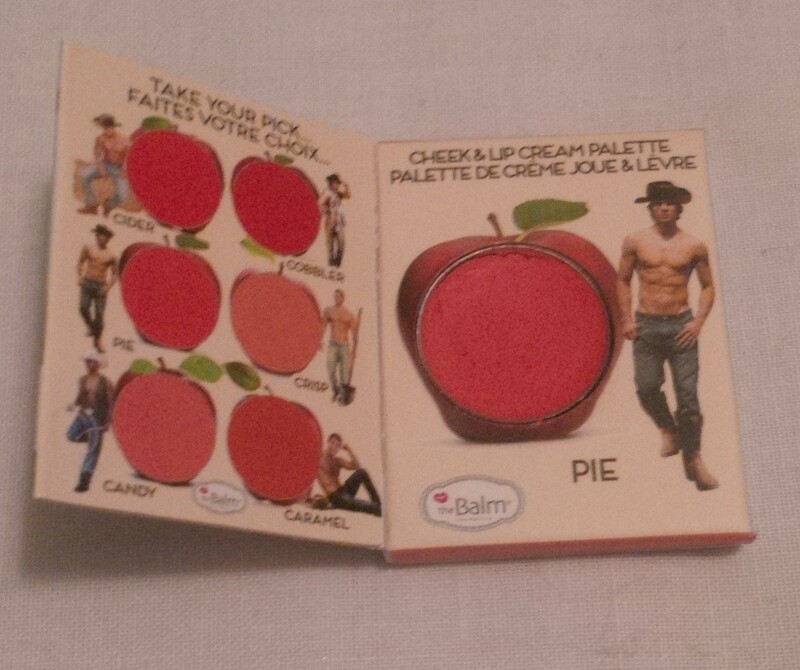 This one is obviously a lot lower than the Swankified perfume oil. 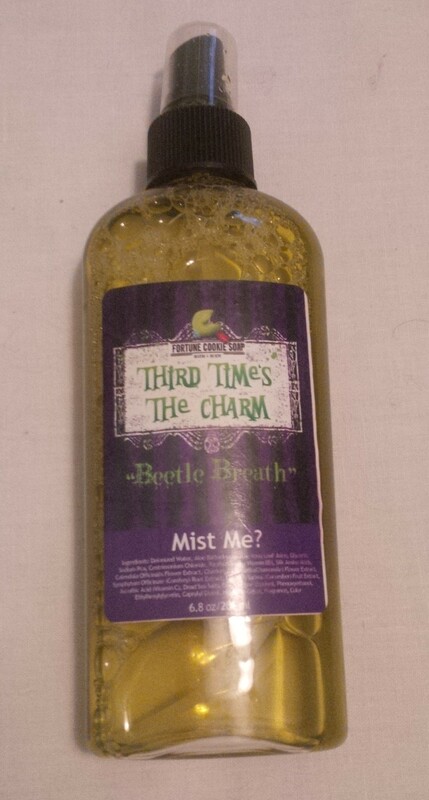 I bought this after trying some that a coworker had and I loved it! However, right after I bought this, I got into FCS and bought a bunch of their whipped creams so this lotion got a little bit forgotten. I will start using it as my post-shower lotion until it is gone. 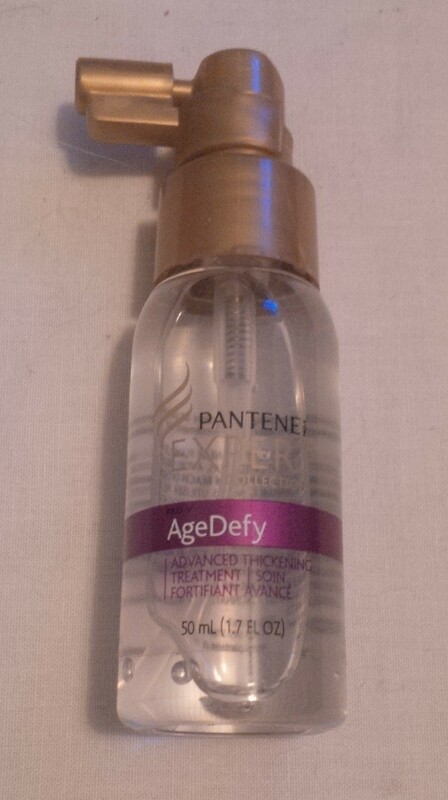 This is a spray for thermal protection and quicker blow drying. I very, very rarely blow dry my hair so it has been sitting around since I got it. I may make a point of using it just as a thermal spray. 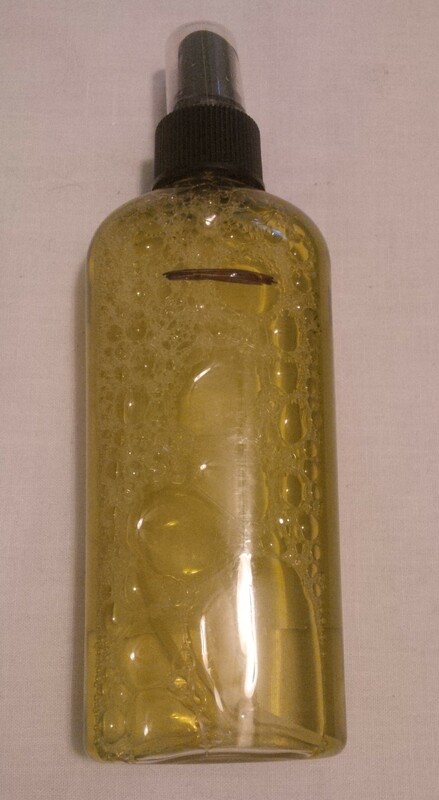 The fill line can be seen on this bottle too. I got this in my Fall 2014 Sample Source box and it is a decent sized sample. 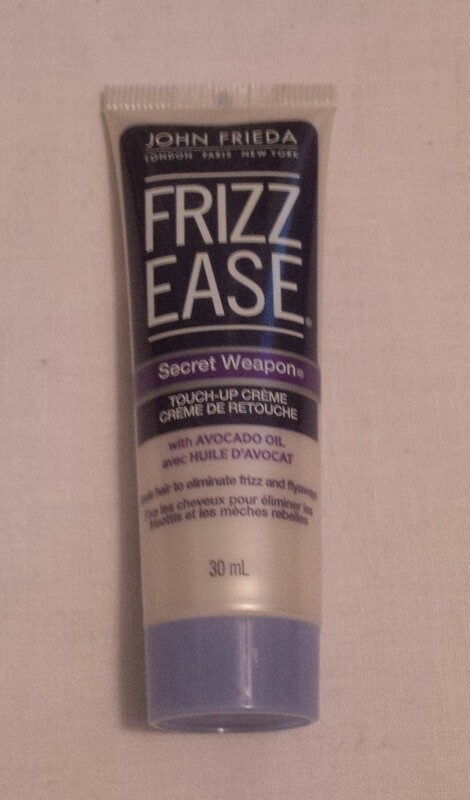 It is used to tame frizz on straight hair so I could get some use out of it, I just need to make an effort to use it. I really prefer to not use products in my hair because my hair is fine and can be easily weighed down. 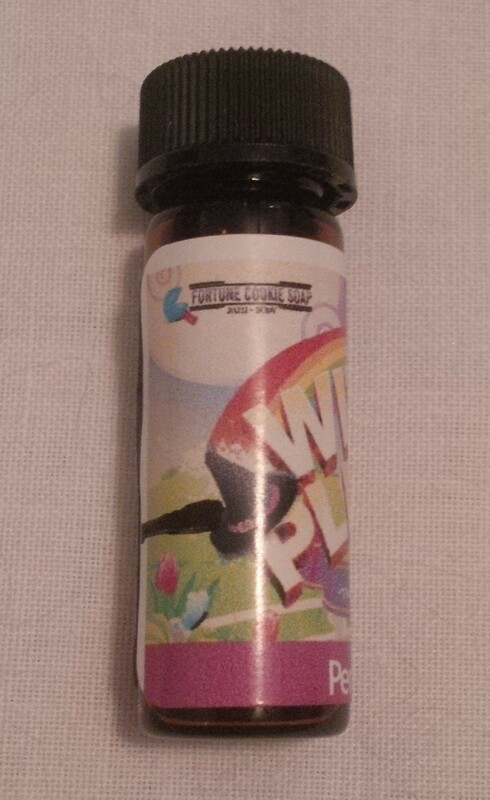 Mom got this as a sample and gave it to me, it is supposed to give you more volume. It is just a sample size so I will give it a try. 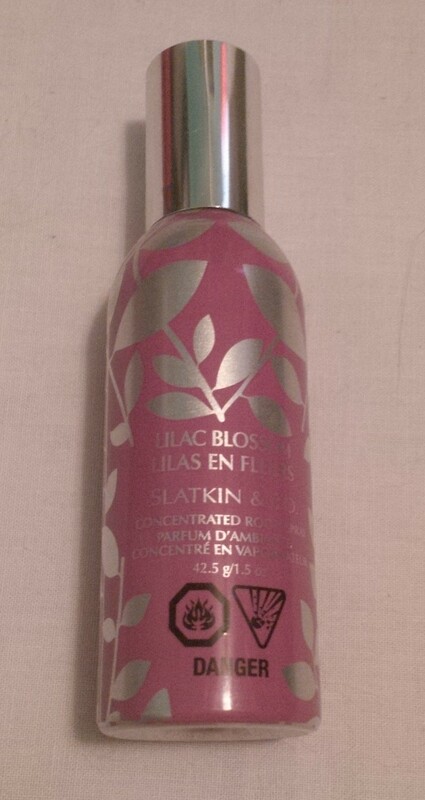 I love the scent of this spray but it is very strong so I prefer to use it in the spring/summer when the windows are open and things are more breezy. I have sprayed this before and my mom thought she somehow hadn’t noticed that our lilac trees had blossomed so it is a very realistic scent. I’ve had it for a couple years so I would like to get through it. I got this candle for my birthday this year. I’m not sure if it is one that I would have picked up for myself but I do really like the scent. My family is quite scent sensitive so I can’t burn it for too long at a time because it is quite strong. I would describe this as a kind of manly, woodsy scent. This was another birthday gift this year. I have had this scent before and I like it quite a bit. 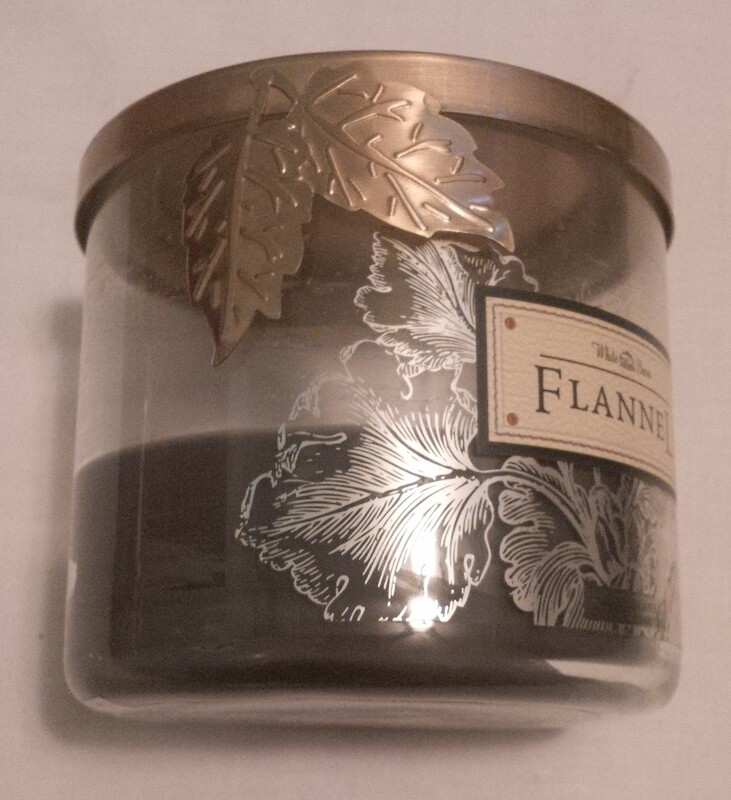 Once again, I can only burn this for little bits at a time because my family is sensitive to scents. I have had this candle for forever, at least a couple of years. I really do love this candle. 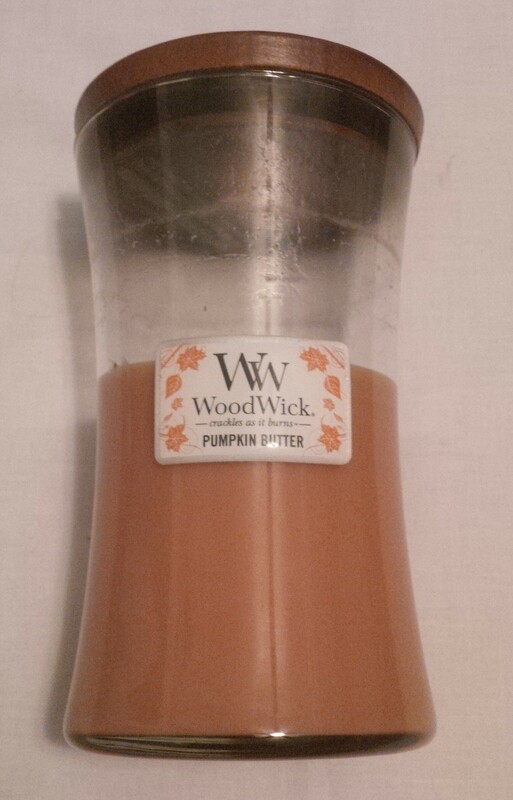 I love the scent and the woodwick aspect of it. It has a burn time of about 120 hours and I am nowhere near being done with it. I am hoping to finish off a lot of these products and get really far with the rest. Hopefully writing updates for this project will hold me accountable in meeting my goal! I love this idea and have enjoyed reading your progress! I have waaaay too many products and need to either do what you’re doing or just get rid of some! I hate to waste money but if I don’t like the product – or haven’t finished it already in 3-5 (or more) years, I should probably trash it. Why don’t you just throw out some of the ones you don’t really like? What does it take for you to actually throw away a beauty product?? That’s a good question. I think that this project is actually helping me sort out how I feel about certain products. There are a couple of products that I’ve included in this journey that I keep telling myself I have to use, but even now I can’t force myself to try and use them. There are a few products that I think I will just get rid of. On the other hand though, forcing myself to use these products has made me realize that I do like some of them so that is kind of nice. Having all of my subscriptions definitely doesn’t help with making my collection smaller but it is the older stuff I should be focusing on getting rid of. I find it’s the hair products that I have the hardest time making myself use/getting rid of. I just don’t tend to use products that much because they weight my hair down too much. Which products do you think you have the hardest time using up?